Charming refinished home in the popular Barnum area. 10 minutes to Downtown Denver & easy access to mountains. 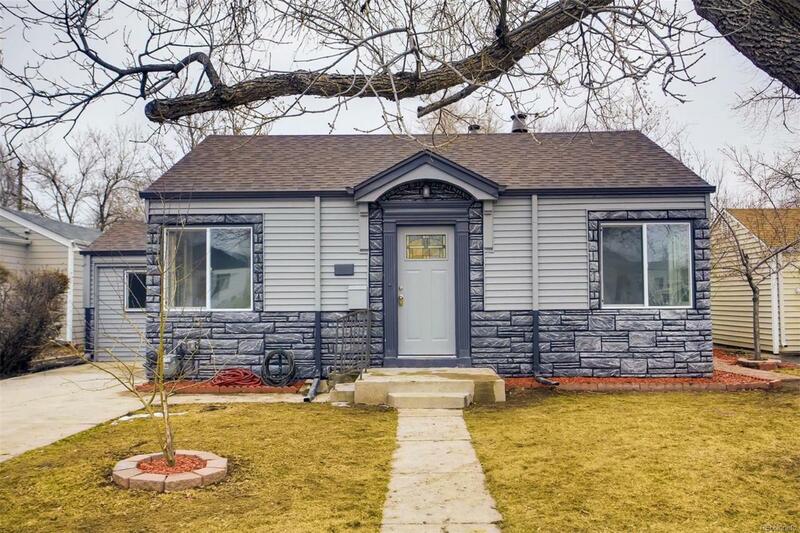 This 2 bed/2 bath/2 family room home has been freshly repainted, with all new windows, hot water heater, flooring, fixtures, tile, & designer finishes. New sewer tap & clean out connections have also been upgraded to code. The kitchen is highlighted with new white cabinets, gas stove, & granite counters create an eat in open kitchen. Both baths are all new new new. The floorplan is set up like two en-suite areas each having their own bed/bath/living room with the laundry & kitchen in between. Great home to live in, opportunity to accommodate roommate renting one of the bed/bath/living room areas, or investment property - zoned E-SU-DX! Low maintenance landscaping fenced backyard w/ apple tree & shady front yard with cement driveway, & flower beds. 2 car detached garage provides parking & storage for all your Colorado gear, alley access, & gas line for heat or hobbies.